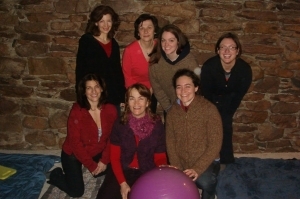 The instructors as Personal Euphoria all enjoy movement and finding new ways to learn about our bodies. Last week we got together to try the Feldenkrais Method of Movement. Margo Henneback came to instruct us. We had a wonderful time. Feldenkrais, from my understanding, is about body awareness and learning how it feels to move your body in different ways. We spent the majority of the workshop moving our pelvis in different directions (up and down, left and right, and circling). The more I learn about the body, the more I come to find that there is no wrong or right way to move the body. It can and desires to move in all different ways. Trying different modalities helps you to discover ways your body likes to move. It is important to maintain mobility in whatever method your find that your body enjoys.